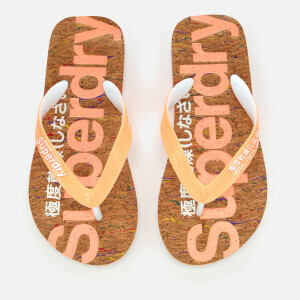 Women's toe post flip flops from Superdry. 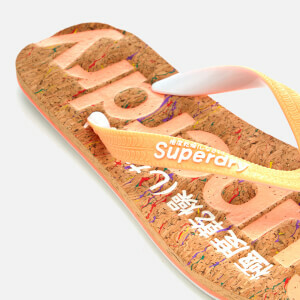 The thong sandals are designed with textured, glossy straps and a cork footbed with embossed branding and multi-coloured paint splatter detail. 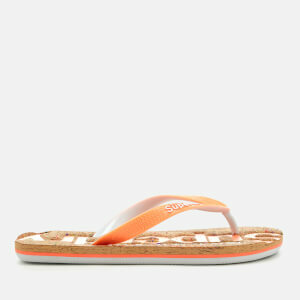 Set on a striped EVA midsole and a durable sole with a patterned tread. Upper: PVC. Footbed: Cork. Sole: EVA.